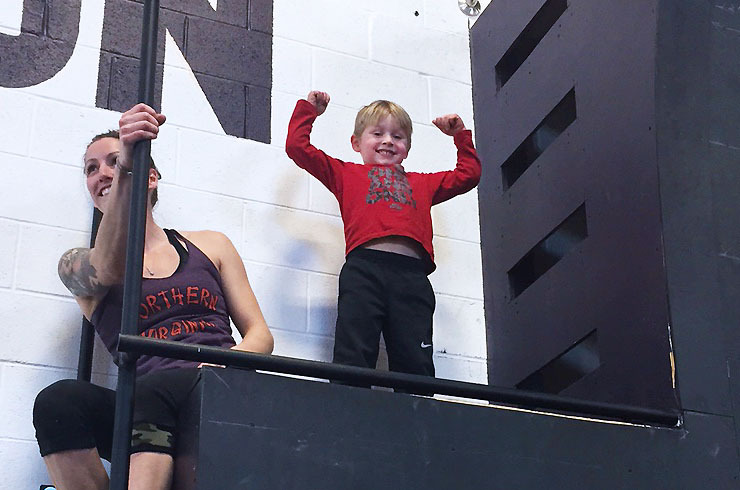 Contributor Kate Schwarz reviews her family’s experience traversing NoVa’s very first Ninja Warrior Course. Let’s just say they had a super-fun time — from the biggest to the smallest among them. Read on to find out more. 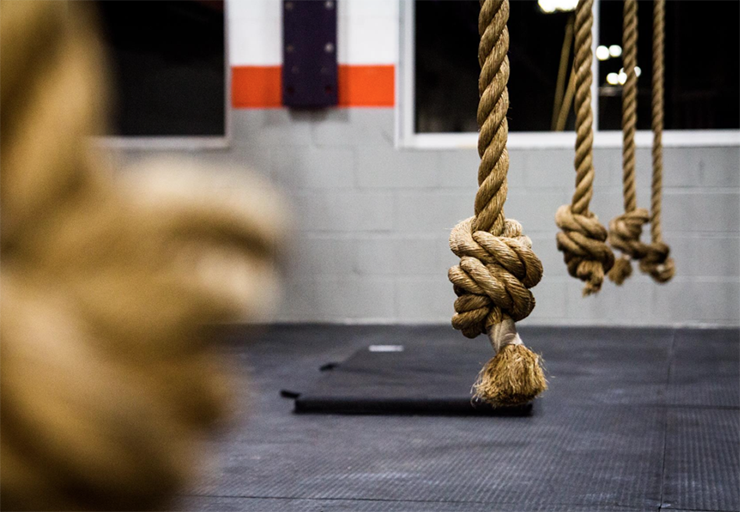 Photos used with permission from Crossfit Loudoun. Photo credit Elijah Miernik. There is no escaping American Ninja Warrior in our house. Without my knowledge and consent, my husband let our three kids watch the show a few months ago, and now they are completely obsessed. It’s impossible for them to walk in a straight line—it’s much more fun and better practice to leap over cracks, hang from rails, or balance along fences. They have turned our playset into an obstacle course and spend their free time designing and drawing imaginary courses. They have their favorite competitors and their own “dream teams” that they’d like to be on. What is American Ninja Warrior? For those of you who might not know, the show started as “Sasuke” in Japan in the 1990s. The producers thought it would be wild to watch contestants attempt to complete increasingly difficult obstacle courses that were like upside down versions of the ones I watched my Army Ranger father and his buddies complete when I was a child. Instead of watching guys jump over, climb up, and occasionally hang by their arms in an attempt to get fit to fight, Japanese audiences watched men with herculean arm strength hang by their fingers and hands, and only occasionally involving their legs. The purpose? To entertain. Soon, it wasn’t just a Japanese audience. American Ninja Warrior started airing in 2009, and, just like the momentum necessary to complete the arm rings or double salmon ladder, the show gained momentum with the American public. Somehow it tapped right into the funny phenomenon where a tiny minority of Americans desire to test ourselves physically (perhaps a bit psychotically?) while the majority of Americans sat and watched and cheered. It makes sense that this craze would trickle down to our children. My kids are not the only children who are now infatuated with obstacles and list the contestants as their heroes. 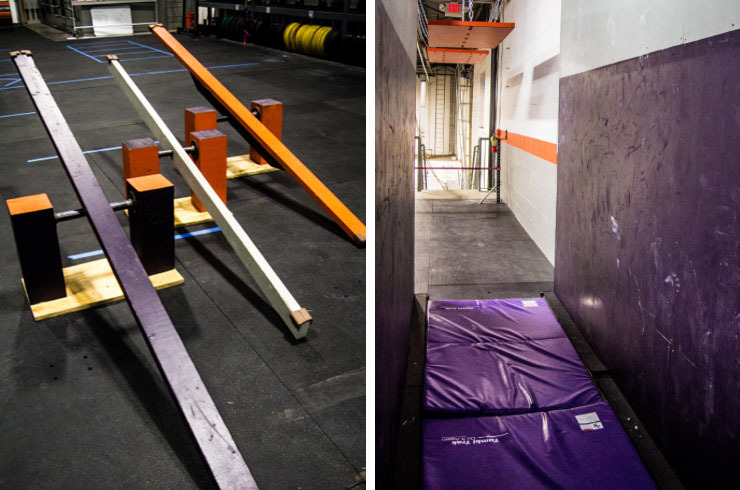 It was my husband who found a local Crossfit affiliate which also had a “ninja training center” where adults and children could play and train on obstacles replicated or inspired by the show. To name just a few: Quintuple steps. A salmon ladder. Unstable bridge. Jumping spider. Ultimate cliff hanger. And of course the warped wall! 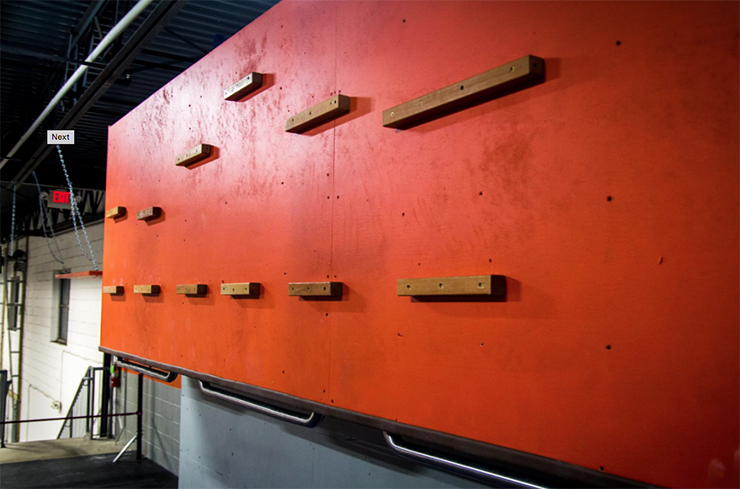 They have an 8-foot children’s warped wall and a 14.25 warped wall with 10- and 12-foot progressions for older kids and adults. In kid terms, there is a lot of cool stuff. But there is a lot that happened before all that cool stuff appeared in Crossfit Loudon’s Northern Virginia Ninja program. About a year ago, in Spring 2015, Casey Passafaro started training for American Ninja Warrior after watching the show with her two boys and thinking “I can do that.” She was already in excellent shape from Crossfit, but she went the extra mile and put a rope in her stairwell, pull up bar in her family room, and rings in her garage. Still, being a single mom of two and working a typical 9-5 job as an oncology Nurse Practioner left her little time to do the extra training she felt she needed. Plus, her home didn’t allow for some of the bigger obstacles. Where could she train? JJ looked at Casey. JJ, a single mom of four who already had one full-time job and coached 30 additional hours a week to pay the bills, probably should not have said yes. 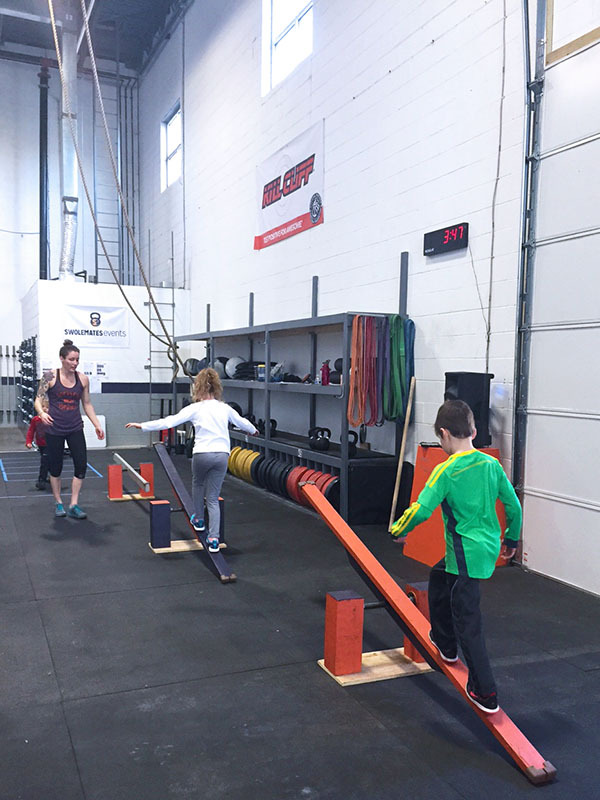 The two women and their six children came up with a business plan, found the space that is now Crossfit Loudoun/Northern Virginia Ninja Training in late November, and started to pour in the proverbial blood, sweat and tears to make the business successful. “We slept there many nights,” Casey admitted. For the 31 days in December they planned, painted, designed, drilled, nailed…these two women—and their six children and contractor superman—did what was necessary to open January 1st, 2016. What about her attempt to get on the show? I wondered. After hearing the incredibly busy, stressful fall she had, I was surprised to hear that Casey had submitted the necessary application and video to audition for the show in November 2015. But it’s clear that Casey Passafaro is a woman who wants a lot in this life, and she won’t take no for an answer. And this time, from the America Ninja Warrior show, she didn’t get a no. She got a yes. She made the show and will travel to Atlanta this month (March 2016) to compete. But she’s still got her day job. 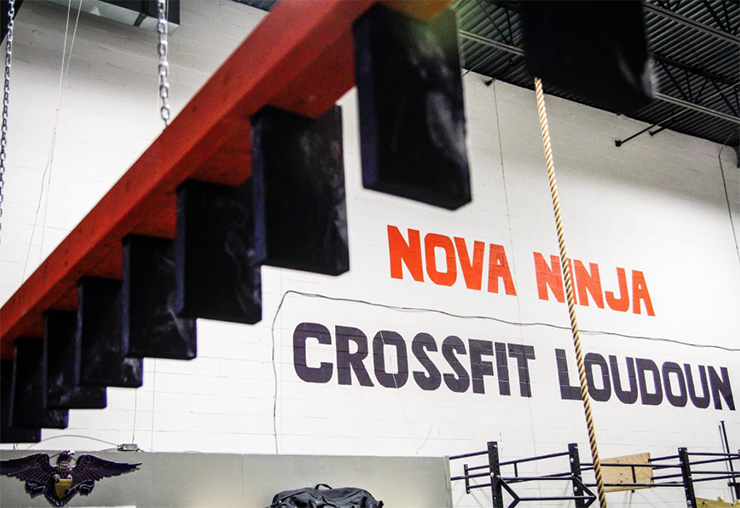 And her afternoon/night job at Crossfit Loudoun/Northern Virginia Ninja. 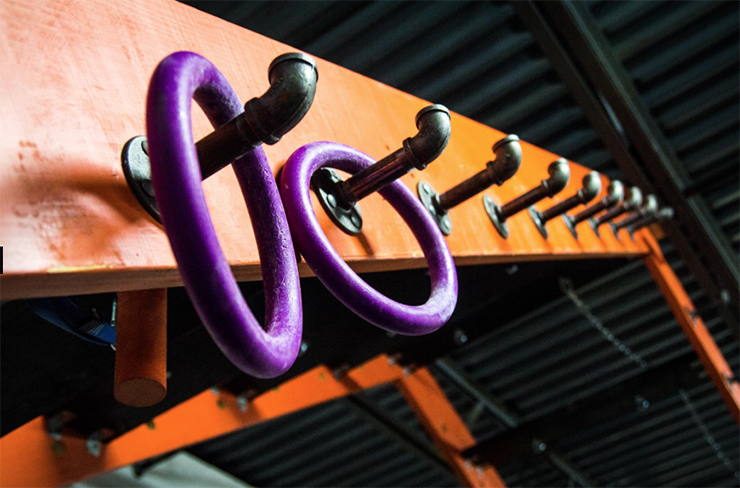 When our trio of ninjas-in-training found out they were going to train as America Ninja Warriors for a whole hour with a real coach on real ostacles, they were beside themselves. I know they lost sleep. They counted down the days, planned their ninja outfits, and predicted at which obstacles they’d be best. 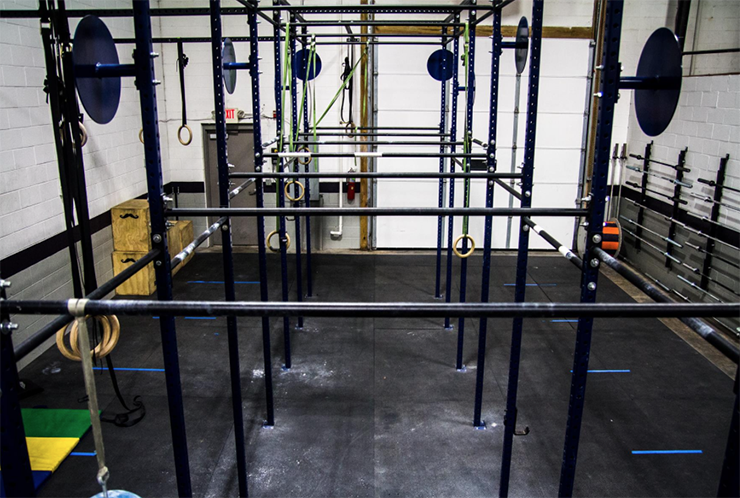 The day of the ninja training arrived, and we got to Crossfit Loudoun/Northern Virginia Ninja a little early. The kids were mesmerized as they watched Coach Casey lead two older boys through the first few obstacles. We’ve got three different personalities and three very different skill levels with our trio: Lorelei, the oldest, is the tallest and therefore has the longest reach. But she’s also a cautious athlete, more focused on completing tasks with accuracy than with speed. Ben, the oldest boy, is a gifted athlete and wows his coaches every season. If I didn’t know his inner self-doubt, I’d say he was cocky. Ben was sure he’d “dominate,” in his words. Kiefer is a robust four and a half, but he’s still four and a half—his determination and competitiveness make up for his lack of speed and coordination. All three of them have a great sense of humor and fantastic can-do attitude. Photo provided by Kate Schwarz. It was pure fun to watch them attack the course. Coach Casey did a steller job of teaching them the mechanics of each obstacle, applauding their effort, suggesting ways to improve, and letting them try again and again. “I love working with kids and adults who are brave enough to give ninja a shot,” she told me. That passion for ninja training is clear. The bonus? She let my husband and I play along, too. While some parents choose to ferry their kids to ninja training sessions and sit and chat, parents being involved “prevents injuries, encourages listening, and sharpens their focus.” Spotting our kids was necessary as many of the upper body obstacles are impossible to scale—holding Kiefer so he could attempt the obstacles was the only way he could do them. At least this time. My kids learned a lot. And they gained a lot—they were humbled by obstacles they’d only seen on television that the athletes on the show made look easy. They got a boost of confidence as each of them did more than they thought they could. They conquered a few things and got close enough to taste victory on a few others. They remembered they were a team and cheered each other on. They had fun testing their physical limits, learning to laugh at themselves, and practicing not quitting. In sum, in their words, it was “epic.” We’ll be back. April 4, 2016 Team NoVa Ninja presents, Night of the Ninjas! 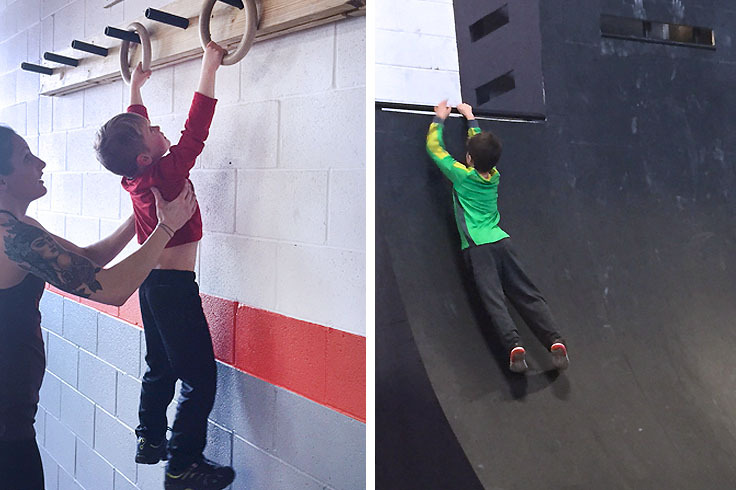 A ninja warrior competition for adults & kids!!! Get more info and sign up here. 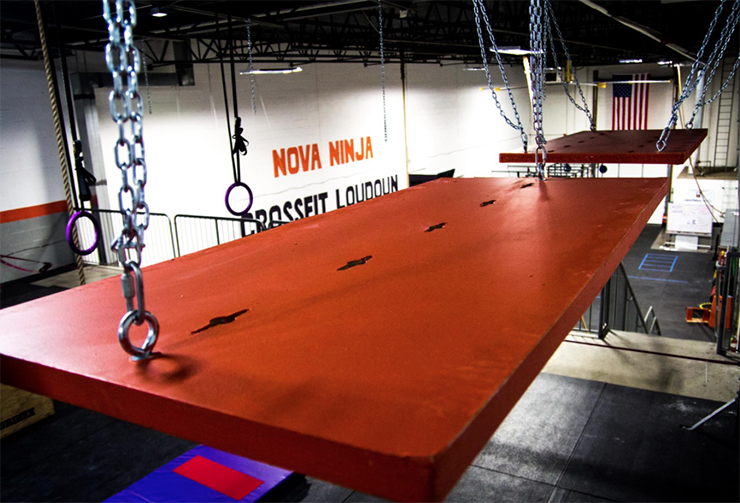 Follow Crossfit Loudoun Northern Virginia Ninja on Facebook and Instagram.